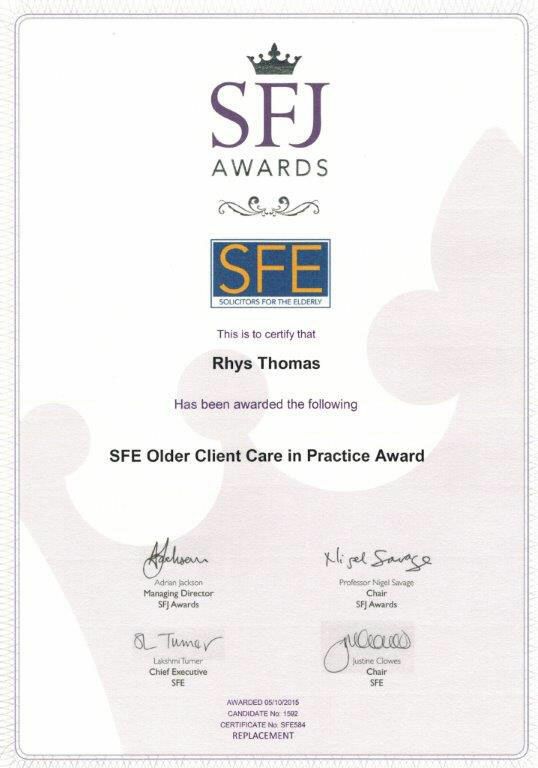 Rhys was born in Rhyl in North Wales and is a fluent Welsh speaker. He settled in Cardiff after Chester law School and is married. He enjoys a variety of sports, including rugby, football, golf, (a former member of Radur Golf Club), and walking. He is a keen follower of Liverpool FC, (North Wales connection), and also follows Cardiff City FC – (which has not been easy as of late!). He is a keen walker having attempted the three peaks challenge, and raised £1500.00 for Prostate Cancer Wales and a brain tumour charity. He also enjoys walking the Pembrokeshire Coastal Path when able. In the past, he has been a member of the local Rotary Club and previous member of Cardiff Round Table. He has been involved in helping organising various events with these organisations and has raised substantial sums of money for charity. He also enjoys cooking, attending food festivals and cookery courses. 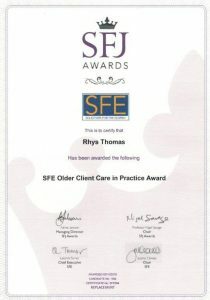 Regional Co-ordinator of Solicitors for the Elderly South Wales. Member of the Probate Section of the Law Society. Alun Rees is a very experienced litigation solicitor. After graduating in law he gained a distinction in his post- graduate professional exams and trained in London, subsequently becoming a commercial litigation partner in Lloyd Bragg in Bristol. For some 20 years he ran his own litigation practice with clients in south Wales, Bristol and the Midlands, before selling it to a Legal 500 firm. He is now a consultant. He has extensive experience of litigation, in the County Court, High Court and the Court of Appeal. His cases have ranged from low value to complex multi- million pound claims. He also has experience of high level mediation. His clients like him! They value his close personal involvement, his ability to quickly get to the heart of issues, his clear advice, and his robust defence of their interests. Aside from the law, his main interests are architecture, film, France, food and family. We would have no hesitation in recommending his services as we hold his ability, judgment and advice in the highest regard. He is effective in “fighting” our corner. Alun did a cracking job. I was glad he was on our side! He is one of the only lawyers I would trust….. he combines frankness, experience, knowledge and honesty with a sharp commercial mind. He also has a sense of humour and is easy to deal with. I have no hesitation in recommending him. His representation was second to none. Your dedication throughout the time you were handling my case (including taking late night and weekend calls!) was outstanding. I also know several of his clients, who without exception, speak most highly of his work on their behalf. He has an incredible reputation for ‘getting it right’ and the majority of his clients have utilised his services for many years. Whilst your service provided was highly professional you are also very approachable and helpful and patient enough to discuss and explain matters. From our first conversation it was obvious that Alun was the right man for the job. He has such an approachable manner and it made the whole legal process significantly less stressful knowing that he working on our behalf. He was efficient, responsive and most importantly trustworthy. Alun Rees has provided excellent advice. Alun quickly got on top of my difficult case and was able to guide me the right way, resolute when required but also with a sense of understanding for my personal circumstances, both emotional and financial.